The doubters of global warming are emboldened by their new ability - as in the “climategate” affair - to put climate researchers on the defensive. But the experience of comparable assaults on the discipline of peace studies in the 1980s suggests that hostile scrutiny can have longer-term benefits for the target. The articles in this series try to throw light on recent or current developments in international security. Just occasionally an element of personal experience creeps in. This is one of those. The last weeks of 2009 were difficult for the public face of scientific research into global warming. The failure of the climate-change conference in Copenhagen, the identification of minor flaws in the International Panel on Climate Change (IPCC’s) published documentation, and the exposure of email exchanges centred on the Climatic Research Unit (CRU) at England’s University of East Anglia - all raised doubts about those charged with presenting scientific evidence about climate change and renewing efforts to address the phenomenon. In the case of the email affair - given an extra conspiratorial frisson by being called “climategate” - the careful selection of damaging details by an evidently well-resourced group made it possible to erect a narrative of deception that found an uncritical welcome among climate “sceptics” and “deniers”. Soon after the furore, Associated Press tasked a team to examine 1,073 emails from the CRU material in order to provide an independent view of what had happened. The result showed no evidence that climate change was faked (see “’ClimateGate' Doesn't Show Global Warming Was Faked, AP Reports”, Huffington Post, 12 December 2009); but amid a deluge of negative comment this attracted little attention, and the impression persists that the whole case for human-induced climate change has been severely hit. For many of the researchers involved, the period of late 2009-early 2010 has been traumatic; they may have had to contend with controversy over the years, but this is something outside their experience. The intensity of the coverage, and the zealotry of many sceptics in pressing their case, stem in part from changing global circumstances. There has long been deep opposition to any international move towards a low-carbon economy, from reasons both ideological (free-market true-believers) and commercial (the more retrograde transnational corporations, especially fossil-fuel companies). There was no great risk of such a move as long as George W Bush was in the White House; but the election of Barack Obama and the prospect of Copenhagen agreeing a successor to the Kyoto protocol made 2009 potentially a dangerous year. In this context, “climategate” has been a gift. The lesson of my own experience in the 1980s suggests that the longer-term impact might be rather different from what the architects of this affair intend. I got into working in the field of international security from teaching environmental science and resource-conflict at Huddersfield Polytechnic, west Yorkshire, in the early 1970s (and recently came across some of my thirty-five-year-old lecture notes dealing with rising atmospheric CO² levels!). I moved to Bradford’s department of peace studies at the end of the decade, just as the cold war was entering a particularly tense period; from around 1980 onwards, several of us there saw the need for independent research and writing on nuclear issues. An early outcome (with co-authors Malcolm Dando and Peter van den Dungen) was a book about the risks and consequences of nuclear war: As Lambs to the Slaughter: The Facts About Nuclear War (1981). It struck a chord; 25,000 copies were sold in a few weeks, and that year around 500,000 people purchased an accompanying leaflet published by the environment group Ecoropa. As Lambs... was part of a wider body of writings, much of it for an academic rather a general readership. This was the case with A Guide to Nuclear Weapons (1981) which ran to several editions and led eventually to a reference work: The Directory of Nuclear, Biological and Chemical Arms and Disarmament 1990. The core purpose of this writing was to be as accurate as possible; this meant (for example) always analysing Soviet as well as western systems and postures, and having a particular focus on the actual consequences of a nuclear war. What strikes me in retrospect - and when thinking about the problems that climate scientists now face - is how widely varied were the reactions to our work. Military officers, for example, were actually very interested in it and very ready to engage in intensive debates. I was first invited to lecture at the Royal Air Force staff college in 1982 and have continued frequently to lecture at defence colleges to the present day. Senior civil servants in Britain’s ministry of defence were also willing to discuss our work. The reaction on the political right - then very much in the ascendancy during Margaret Thatcher’s long premiership (1979-1990) - was very different; it was bitter and sustained opposition to what we were doing. In the Thatcherite view of the world, peace studies was “appeasement studies”, indulgent to official enemies and undermining of the nation’s moral fibre. Many articles and pamphlets were written about the Bradford department’s dangerous and subversive nature; one noble member of the House of Lords (the upper chamber of Britain’s parliament) even described us as a “rest home for urban guerrillas”. Some critics preferred a more personal touch: I was called “Dr Death”, and we regularly got abusive mail (which, on one or two occasions, went as far as death-threats). It was known that Margaret Thatcher wished “something to be done” about peace studies; but this was politically difficult, since universities still retained considerably more independence (a situation that subsequent governments have done much to redress) than now. But the University Grants Committee (UGC) came under pressure to investigate us and to its credit agreed to do so only if Bradford’s vice-chancellor allowed it; he too was prepared to say yes, but - also to his credit - only if the peace-studies staff gave their consent. We certainly would! What followed was the equivalent of today’s “subject review”. It was thorough and exacting, and the UGC made public its verdict - that the department was maintaining high standards. That outcome lifted the pressure off peace studies for the rest of the 1980s. With the end of the cold war by the end of the decade, much of the other work our staff and research students already did - on peacekeeping, environmental conflict, and mediation, among other issues - came to the fore; this created the foundation for an expansion of our work in the 1990s. How does this relate to “climategate”? A key factor is that we were exposed to intensive criticism and persistent scrutiny of our work virtually from day one, and this in direct consequence made us hugely aware of the need for very high levels of accuracy and impeccable referencing of sources. Access to a wide range of military and defence journals, and a huge amount of information in the public domain, meant that this was actually not so difficult; but under so much external pressure we learned to be very cautious in our analysis at a time when exaggeration on the issues we addressed was common enough. Many of us now think that the experience made us better academics. If almost everything you write is going to be exposed to detailed examination by relentless and often politically-motivated critics, then you have to set unusually exacting standards for your work. The likely - and beneficial - implication is that climate researchers who have gone through their own test-by-fire will in future take even greater care over published assessments and analyses. 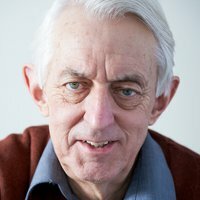 In many ways we were luckier than today’s climate researchers: for there was an intense focus on our peace-studies work from the very beginning - whereas critics of climate science are able to retrieve work published a decade and more ago, when the issue was far less controversial, in order to pinpoint a minor laxity and use it to great effect to damn the whole enterprise. The overall effect of the setbacks to climate-science’s public face may amount to the loss of a year in the transition to a low-carbon future, but the good work being done in this area offers many grounds for optimism. The New Economic Foundation’s The Great Transition project, and Tim Jackson’s book Prosperity Without Growth: Economics for a Finite Planet (Earthscan 2009) are but two examples. Alongside the evidence that continues to emerge about the accelerating impact of climate change, the flow of impressive research and compelling argument based on even more rigorous standards will ensure that the refusenik stance will in future become harder to make. In the end, peace studies was made stronger by those who sought to expose it. In a similar way, the travails of climate researchers may well end up reinforcing the integrity of the science and the necessity of the low-carbon transition.